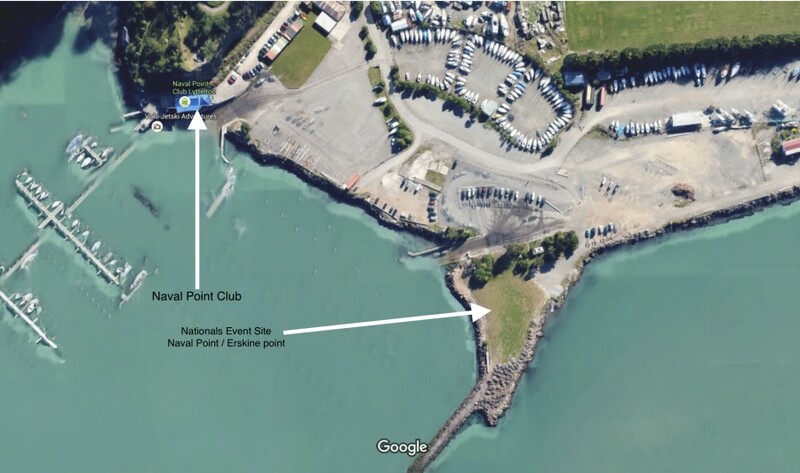 2019 New Zealand Windsurf Slalom Nationals . Event starts Wednesday the 9th January 2019. 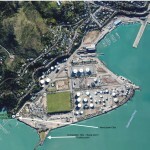 Naval Point launch area, Lyttelton, Christchurch, New Zealand. 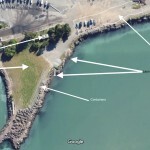 For more info on local sailing spots - LOCAL SPOT INFO. Notice of Race & entry form details. Below is the pdf download for the notice of race & entry form, as well as the online entry form. Click here for the online entry form. The event will be governed by the rules as defined in the World Sailing Racing Rules of Sailing – Latest edition on line at World Sailing. Windsurfing Competition Rules (WCR). The following prescription of Yachting NZ will apply – Safety Regulations Part 1. A suitable wetsuit will satisfy clause 1. If there is a conflict between the NOR and the Sailing Instructions (SI’s), the SI’s will take precedence. If there is a conflict between languages the English text will take precedence. 2019 WNZ Slalom Windsurf National Championship event sponsors are Groundswell Sports, House of Travel Merivale, Bowater Builders Ltd and Canterbury Windsports Assn. Thank you to these sponsors, without which we could not run this event. Competitors will receive a copy of the sailing instructions in their registration pack, these will also be up on the Canterbury Windsports page tomorrow. Sailing instructions are aligned to the ISAF (international sailing ) Racing Rules of Sailing (RRS) and appendix B for Windsurfing Competition Rules. For those who are not familiar with these check out ISAF RRS or get a rule book from the NPCL office for about $20. In particular read “Part Two” rules and “Appendix B”, you should have at least an understanding of these. Also the Safety Rules are for your personal safety requirements to compete in this event. 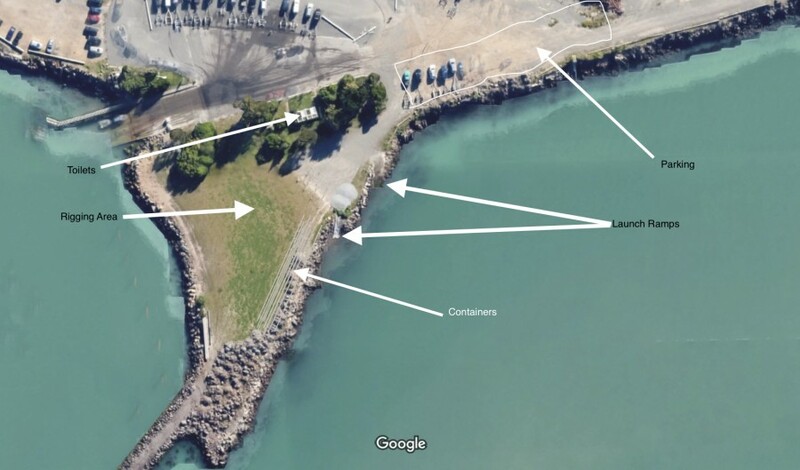 YNZ gives a specific exemption for boardsailing in its Safety Regulations Appendix 4d. However a suitable wetsuit is required if a personal buoyancy aid is not worn. Helmets and bouyancy aids are compulsory for Under 18 years olds at this event. The safety band system will be used by all competitors. Flags will be described at the 1st briefing on Thursday morning, all must attend. This year we have a new Trophy for a Team Event. All competitors will be randomly selected into teams of three, each team including a Mens Open, Womens Open and a Silver fleet competitor. The team with the lowest points at the end of the event will win a $100 bar tab and the Teams Trophy. Teams will be published on Thursday Morning. 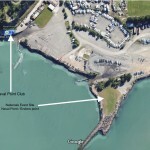 Briefing is at Naval Point Club Lyttelton Thursday Morning at 9:30am, this will be compulsory for all sailors to attend. 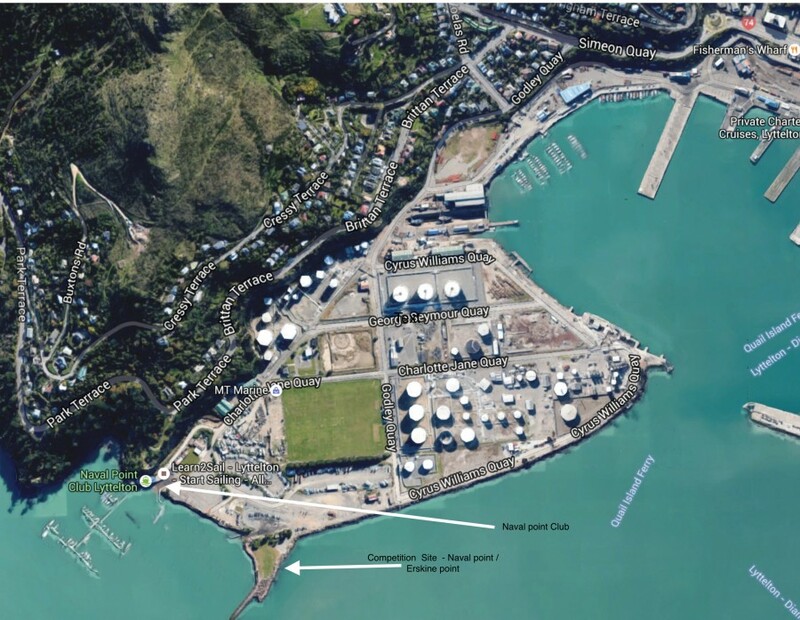 We have included a comprehensive list of cafes, restaurants and bars in Lyttelton, in your registration pack, so enjoy and we will catch up with you all for a drink in port. On Sunday evening, Prizegiving will be at Eruption Brewery, time to be advised. Spectator viewing places are right on the shore. 2016 Groundswell New Zealand Windsurf Slalom Nationals . Social racing when conditions allow. May run Slalom Figure 8 or long distance - new racers wanting to learn welcome! Social weekend camping, riding and sailing. For more info txt: Martin Harris on 027 699 5375 or Joe Scorgie on 027 279 3642. A chance to learn something new or get help on a trick you are stuck on. If there is no wind we meet for drinks.